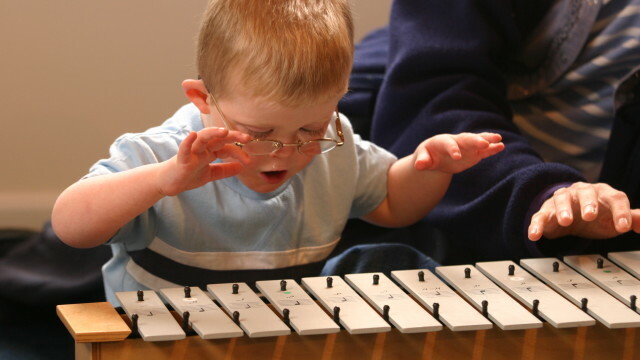 Music Therapy at Coda Music Trust works with children, young people and adults with a wide range of disabilities living in Dorset, Hampshire and beyond. 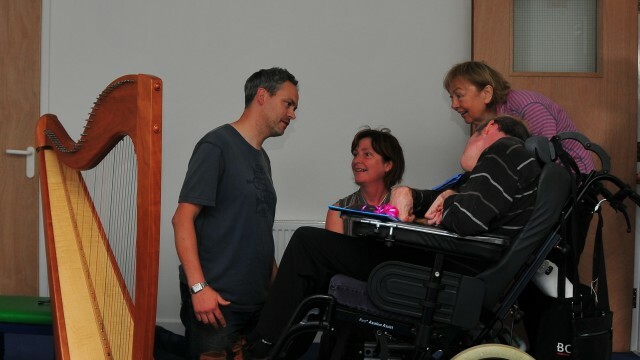 Music Therapy at Coda is delivered by fully qualified Music Therapists. It is a clinical service and is about making a difference to participants’ emotional, physical, and mental health & wellbeing through the medium of music. It is about using music to reach the hardest to reach, to change people’s lives and the way they adapt to, feel, relate and operate in the world in which they live. Music therapy is known to draw on our innate responsiveness to music. Music contains elements of expressive communication (e.g. rhythm, pitch & pulse) and can also elicit emotional responses, stimulate auditory/tactile senses, trigger memories, moods & feeling. Music also provides an organisational framework to help initiate, build and strengthen movements, actions or speech. 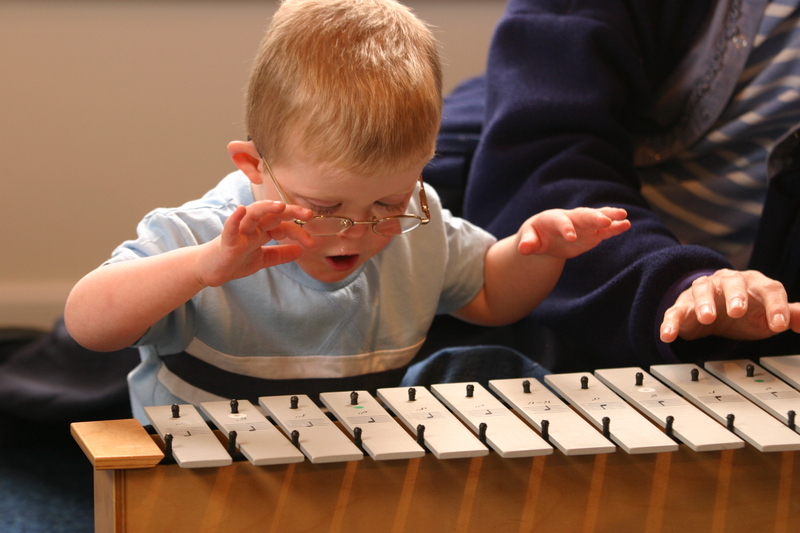 “Our experience with Coda’s Rachel Crennell as my son’s Music Therapist was an amazing one. My boy is severely Autistic and to find ways to get to him, to communicate with him, is not an easy task. Rachel, with her charming personality, managed to get him to interact and engaged with her so enthusiastically and spontaneously through music and sound. Music Therapy takes place both at the Coda Music Centre (near Christchurch and New Milton) and in the community, working with organisations on their own sites. The Music Therapy service provides individual and group music therapy, interventions, assessments, community outreach as well as advice and information about the use of music therapy. Coda Music therapists are Members of the Association of Professional Music Therapists and are registered through the Health Professions Council. Coda is happy to take referrals from individuals or their families/care workers and from local authorities, care homes, health clinics or other organisations. To discuss your needs please contact Coda – or you can download the information sheets and forms via the links below. In recent years we have delivered both pilot and long-term music therapy services in a range of settings including Montacute School, Poole; Linwood School, Bournemouth; Purbeck Care, Dorset, Wallisdown Heights Adult Day Care Centre, Poole; And Christchurch Hospital’s Stroke Rehabilitation Unit. 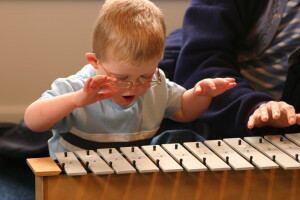 We are always keen to discuss with you the provision of Music Therapy on your own sites and welcome any enquiries. Please get in touch by email on contact@coda.org.uk or by calling us on 01425 276161. Could Music Therapy help me or someone I know?